Ever saw your friends sharing a WhatsApp group link to you? Upon opening it will take you to a WhatsApp group and from there you can join it without asking the members of the group to add you. This is yet the coolest feature WhatsApp will bring to us, however, isn’t available for now. 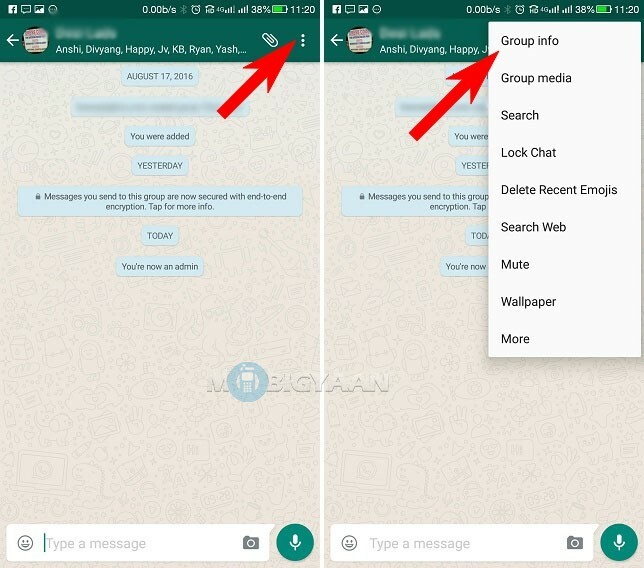 It enables the users to join a WhatsApp group simply by opening a link that redirects you to that particular WhatsApp group. 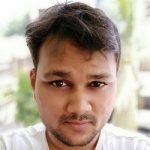 So, now you are thinking to create a WhatsApp group link of your group, aren’t you? It’s been a while when I was actually getting a chunk of links in the groups I belong to and I wonder what was it exactly. I clicked the links and I was simply taken to a group where there were a number of people already added. I then understood that I had joined a WhatsApp group by an invitation link and I hadn’t asked or given my number to a member of the group who further requests admin to add me. It also makes things easier by eliminating the manual adding process using a phone number. Unfortunately, this feature isn’t released officially for all the WhatsApp users out there. However, there are ways to access this pretty handy feature and I will show you how. 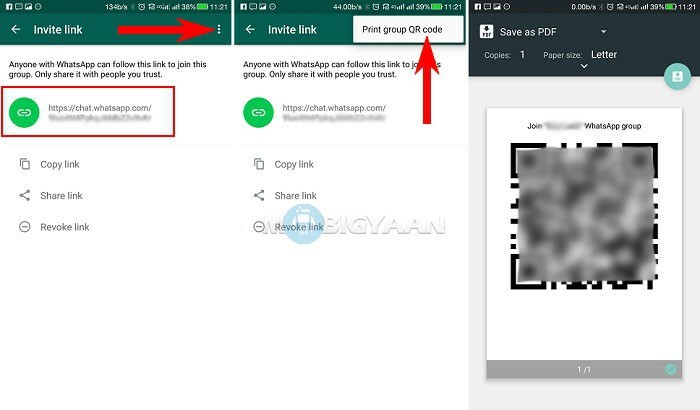 Read on to know how to create WhatsApp group link. This method works without root. You don’t need root access on your Android device to use GBWhatsApp. Download the latest version of GBwhatsapp on your Android. It isn’t available on Google Play Store but sure you can download using the link provided below. 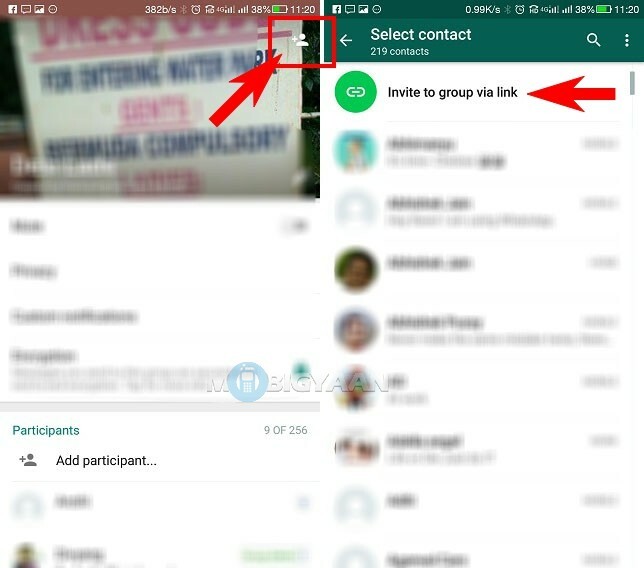 GBWhatsApp is a mod for WhatsApp that unlocks many features of WhatsApp. Download and Install it. Be sure to enable or check the box that says Unknown Sources under Settings -> Security. Once installed, open GBWhatsApp and confirm your mobile number. That’s it, a link will be generated for the selected group. Share it anywhere you like. GBWhatsApp also comes with a plethora of features which WhatsApp lacks like hiding blue ticks, message typing, last seen, copy others’ status, broadcast 600 people, send 90 images at once, support for 100+ languages and much more. Here’s the download link. Also, visit How-To Guides for more awesome guides.